A cancellation fee of $400 will be charged unless cancellation is made 45 days prior to check in date. About 5-7 days prior to your arrival, we will send out a check in reminder to the email address provided with the door code you will use during your stay. We have electronic locks on our condo front doors. KEEP THIS CODE, IT WILL BE YOUR ACCESS TO THE UNIT. Check in is anytime after 3 p.m. Check out is anytime prior to 10 a.m. If you are looking to arrive before normal check in time, please call to see if unit is ready. Payment is upon arrival. All prices reflect a CASH/CHECK discount. Payments made using credit cards will incur a 4% fee. You may switch your payment method upon arrival. Maximum allowable guests: 2 bedroom = 6, 1 bedroom = 4. Cancellation policy: Unless otherwise noted at the time of your reservation, a cancellation fee of $400 will be charged unless cancellation is made 45 or more days prior to your arrival. Cancellations 0-14 days prior to arrival will be charged the entire amount of the reservation. 2) Any damages to the unit due to guest negligence will be charged to the guest. These are each somebody's home, so please treat the unit as you would your own. 5) No pets of any kind allowed at the complex. 6) Free WIFI is included and the password is provided upon arrival. 7) Parking is free. Covered parking on site. Directions: From SR 528 ( The Beachline ) to A1A into Cape Canaveral. Turn left on Taylor Ave as you're heading south on A1A. Taylor Ave will be about a mile south of the McDonalds. Take Taylor all the way to the beach. Parking is open and free of charge for guests. 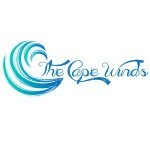 Welcome to the Cape Winds Resort, a quiet, family-friendly condo rental resort in sunny Cape Canaveral, Florida. Our beachfront vacation property offers beautiful one- and two-bedroom condo rentals that come with fully-equipped kitchens, in-unit washer and dryers, high-speed wireless Internet, cable television, private balconies, private beach access, and full use of our private tennis and basketball courts, heated pool, sauna, hot tub, and more. The scent of the ocean fills each room in the morning and our guests tend to enjoy a wealth of perfect beach days. 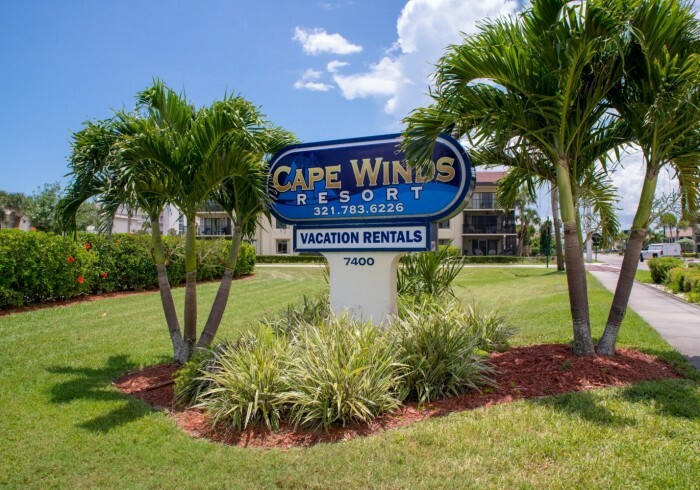 In addition to being just minutes from Port Canaveral and the Kennedy Space Station, we’re also located on the closest beach to Disney World (50 minutes drive), making our condos a perfect way to enjoy the best that Florida has to offer.